US-based private equity firm Advent International is close to acquiring a majority stake in Bengaluru-based PET packaging solutions provider Manjushree Technopack, according to a report by Economic Times. The deal values Manjushree at Rs. 2,300 crore (US$ 330 million). Indian private equity firm Kedaara Capital, which holds about 24% stakes in Manjushree, will sell its share while the promoter Vimal Kedia will also dilute his. Kedia will, however, continue to head the firm with minority stake, the newspaper reported. According to Economic Times, Advent trumped Bangkok-based SCG Packaging in the final negotiations. A formal announcement is due in the coming weeks. 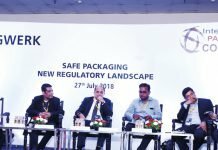 Additionally, if the deal goes through, it would be the biggest deal in the Indian packaging industry after Huhtamaki Oyj acquired Mumbai-based Positive Packaging in 2014 for US$ 336 million. In 2016, Manjushree Technopack acquired Delhi-based Varahi Limited. This was Manjushree’s first acquisition which helped the company widen its lead as the largest supplier of rigid packaging in India. At present, Manjushree has seven manufacturing plants across India. 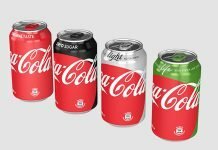 Manjushree’s client portfolio boasts of top FMCG brands in India including the likes of GSK, Coca-Cola, Nestle, Mondelez (Cadbury) and others. Furthermore, Manjushree will be the third buyout deal for Advent in India, according to Economic Times. In 2017, Advent acquired Dixcy Textiles Pvt. Ltd., the South Indian firm which sells leading innerwear brand Dixcy Scott. Moreover, in 2012, Advent bought 72% in Hyderabad-based CARE Hospitals, which was sold to Dubai-based Abraaj Group in 2016.